As the milder weather starts to be replaced with a far cooler set of values, here in the UK we start to prepare ourselves for those energy bills that inevitably start to appear through our letterboxes once more. But were you aware that they needn’t be quite so high and you can actually do something to reduce them rather nicely? Here we talk about the way that heat escapes through our roofs and what exactly can be done to make some substantial savings throughout the whole year. According to statistics, we lose around 25% of our home’s internal heat via badly insulated roof structures here in the UK. That is a massive amount when you think about the annual energy bills we have to pay. By looking into a variety of solutions including a roof tile replacement and loft insulation, we can save hundreds of pounds each year. Britmet have plenty of experience when it comes to replacing a damaged roofing structure and we’ll be glad to offer free no obligation advice whenever you decide to upgrade your current system. If you currently have a conservatory that may have seen better days, perhaps now is the time to think about those sky high energy bills and do something positive about them? Here at Britmet we would be delighted to speak to you about replacing your conservatory roof with something far more cost effective. In the winter months, most UK conservatories become the forgotten room. This is because they become so draughty and are simply not comfortable enough to enjoy any more. By replacing the existing glass or plastic roof with a Britmet roofing solution you can not only reclaim that valuable living space but also reduce your winter fuel bills at the same time. Britmet have a number of excellent products that will perform equally well when used to replace your existing conservatory roof. We can match your existing roof structure in a way that actually adds real value to your home. Thanks to our lightweight roofing tiles we can simply fit these directly over your conservatory roof without the need to remove the original structure. This reduces any inconvenience and the need for any waste disposal once the new structure is in place. You will also find that your upgraded conservatory is a far nicer place to be in the summer because the new roof will deflect those solar rays that can prove so annoying. 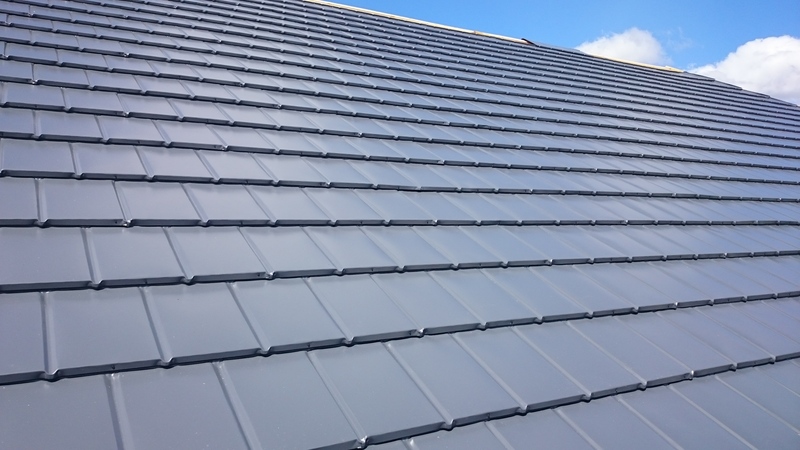 Your home security will also be improved because our lightweight roof tiles are vandal proof and also weather proof.